A show of hands (I know I can't actually see you through your computer screens, but humour me) - how many of us find the weekends boring in Singapore? Singaporeans have a common complaint when it comes to our own country: there's nothing to do. 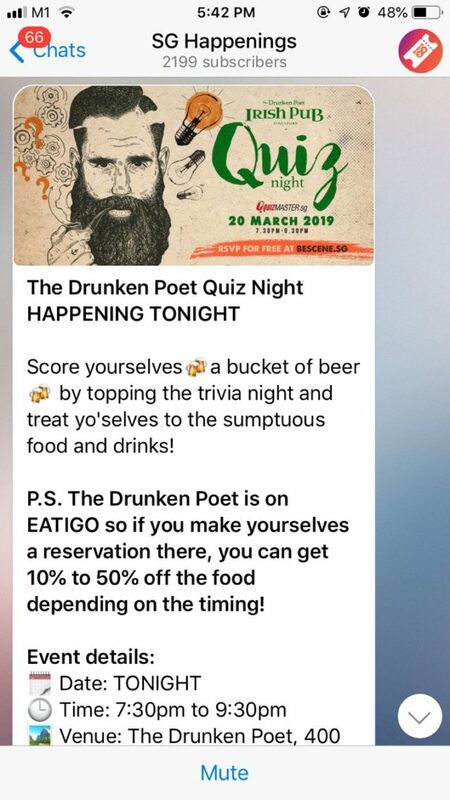 While other publications have pretty useful lists upon lists of what to do this weekend in Singapore, we thought we'd do something better. We'll teach you how to fish - for events to go to, not for actual fish. It may seem a little more tedious than just going through a curated list, but I assure you it's easy to find more things you might be interested in doing on a boring Singapore weekend. It's perfect for those days when you wake up and you find a long, empty day ahead of you with nothing to do. Facebook isn't just useful for funny memes and viral videos. 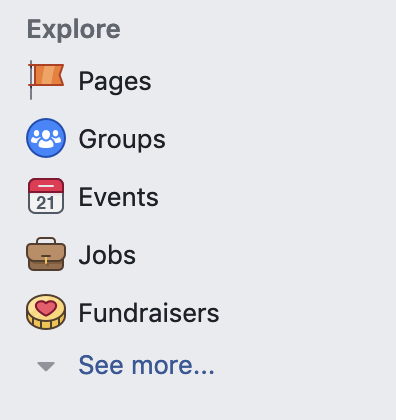 I use the Facebook Events section by looking at what Facebook recommends to me under "Events you make like" that's probably based on the previous events I've clicked "Interested" or "Going" to. 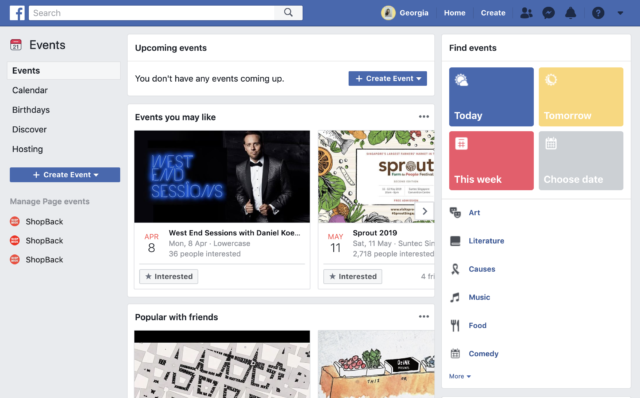 What is also useful on Facebook's Events page is that you can find events not only by if they're happening today, tomorrow, or this week, but also by the category you're interested in. Events are listed on AList but you don't necessarily book through them. Essentially, you're using it to kind of look at what you're interested in. AList's event page is great for exhibitions, workshops, and family friendly events. 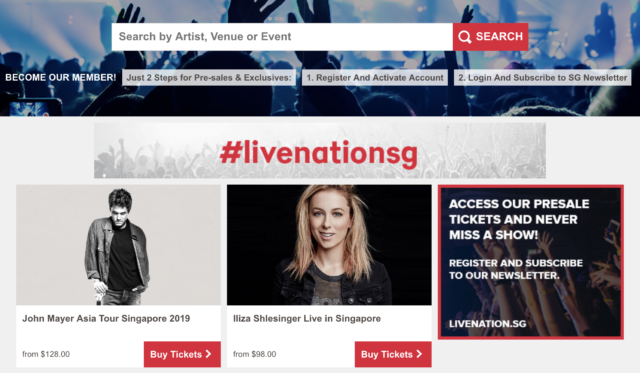 Get presale tickets by signing up for LiveNation.sg's newsletter to keep up to date with who will be performing here. So if you're interested in playing board games, or maybe a game of tennis every week, you can use Meetup to find your tribe. We usually go to the Sistic website when we're sure we want to book concert or musical tickets, but stalking the Sistic website is actually pretty useful. 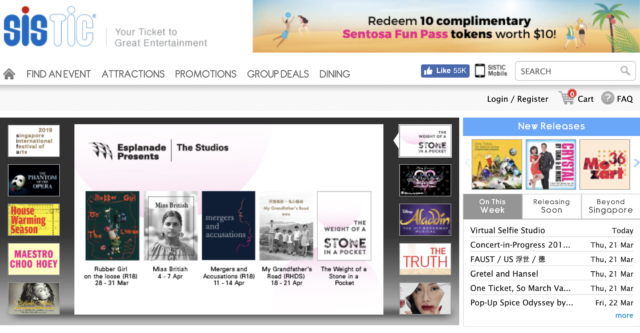 It's actually the best way to find something and get an early bird ticket, especially if you're trying to catch the new musical at Marina Bay Sands. You can go by categories under "Find an Event". They have tickets for anything from dance to comedy shows. Hashtags like #sgevents can now be followed on Instagram. It might not always be a hit, but there's a lot of potential to find events you're interested in on Instagram. We're looking to add more tips to find things to do on our island. Let us know!